Sleeping is not just a luxury but a necessity in our lives. We need it in order to function normally and live healthily throughout all the days of our lives. Our sleeping requirement varies as we age. Babies do nothing but just sleep almost the entire day but the length of their sleep reduces as they grow up. Kids still have the biggest requirement because of the rapid growth and development they go through and it is evident in their growing bodies. Once you enter adulthood, sleep becomes more of a luxury because of heavier workload and more responsibilities you have to juggle day in and day out. Yet even if you can claim that your body has reached maturity once you hit adulthood, it does not mean you need less sleep than your younger counterparts. Sleep is essential for everyone no matter what your age is. Adults need it too because they do so much more now they need the energy to help them last throughout the day and night. They can’t just reason out that they lack sleep as an excuse to skip school or miss work because they should know better that their bodies need to rest too or else they succumb to sickness. It’s the reason why sleep clinics are on the rise these days. Many people finally admit that they lack sleep for a lot of reasons but it should not stop them from getting this lost sleep back with the help of modern science. We are not just simply talking about insomnia or some other sleep distraction but of more chronic, debilitating, and deadly conditions such as sleep disorders. Dr. John Geyer and his staff at the Bryan W. Whitfield Memorial Hospital Sleep Disorder Center help the community sleep at night, literally. As medical director of the sleep center, Geyer evaluates patients and orders sleep studies based on their problems. Once Craig Schumacher, RPSGT, RST, performs and grades the studies, Geyer reviews the data to decide what treatment is right for his patients. “The study is primarily to figure out what they have. And then we tailor a treatment for that,” Geyer said. Treatments may include special equipment, mouth pieces, positional therapy or medication. Sleep apnea has already been prevalent years ago but it’s only now that people are starting to recognize it for the health risk it really is. Imagine people with sleep apnea experiencing multiple breathing pauses during their sleep and that leaves them lacking in oxygen that is crucial for various body processes that keeps us alive. 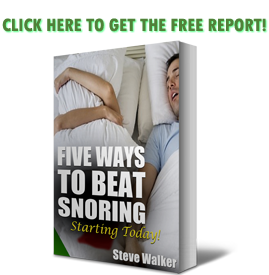 Back then, we only think of snoring, the most prominent symptom of sleep apnea, as a nasty habit most older uncles are guilty of doing when they sleep. We just simply shrug it off and laugh at them for their silly habit. But we know better now. One of the largest professional societies focused on sleep issues is moving beyond its original roots. This week, the American Academy of Sleep Medicine (AASM) announced that it would expand its mission with a new patient-focused membership group called the American Alliance for Healthy Sleep. AAHS, a 501(c)(4) organization, will bring together individual patients and healthcare providers and focus on policy, public awareness, and patient support. It is high time the world at large gives importance to sleep and not discredit it anymore. We can only live a healthy and normal life if we get enough sleep at night. Even sleeping during the day could not make up for the many recuperative processes that take places when you snooze at night, so seek help for your sleep woes if you have problems with it because sometimes what you need is medical help. Don’t ever rely on sleeping pills because it is not the best answer to your dilemma. It’s just a temporary patch and should not be abused. It’s not advisable to be taken in the long run especially if you have a diagnosed sleep disorder like sleep apnea because you need something else to address the underlying problem that results to your chronic sleepless state. If you are undecided yet as to what treatment plan you want to try, you can try something that offers relief and at the same time addresses the major worries in sleep apnea such as anti-snoring mouthpieces. https://snoringmouthpiecereview.org/zquiet and https://snoringmouthpiecereview.org/snorerx are great for starters and they don’t cost a fortune either. You not only put an end to the awful snoring sound but also opens up the airway so you save yourself from the deadly breathing pauses that happens countless times in your slumber.